The Sovereign Bolivar has five zeros less than the current currency and will be anchored to the Venezuelan digital cryptocurrency, the Petro. July 25 (teleSUR) The president of Venezuela, Nicolás Maduro, announced that on Monday, August 20, a new currency will begin to operate in the country, going from the Bolívar to the Bolívar Soberano (Sovereign Bolivar), anchored to the cryptocurrency, the Petro, the president said. 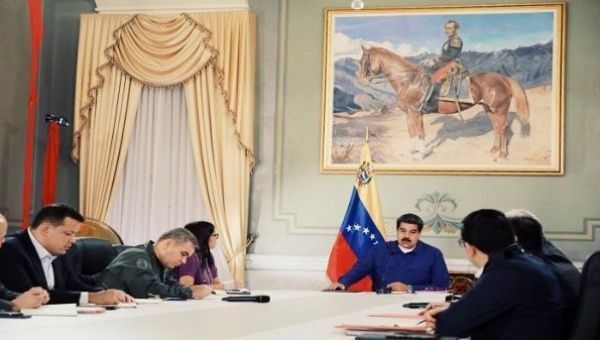 “The economic reconversion will start on August 20 definitively with the circulation and issuance of the new Sovereign Bolivar, the new monetary cone that is going to have a new method of anchoring the Petro,” said the Bolivarian leader. “The productive, diversified and sustainable economic model must definitely be born” in Venezuela, for which the reconversion and anchoring to Petro are “a great hope”. In regards to the Venezuelan cryptocurrency, the Petro, President Maduro announced that “it will end up being consolidated technologically and financially” to “permeate all the national and international economic activity”. “I ask for your confidence, I ask for your support, beyond ideologies and political positions, because Venezuela needs this change, the mafias are over!”, Said the president. “We have the correct vision of what the economic future in Venezuela should be, above all, we will achieve it,” he concluded. The president pointed out that there are two factors that have hurt the country’s economy. “Venezuela has been trapped during these years by two fundamental variables: the exhaustion of the oil model (…) and the establishment of a mechanism of economic warfare, as part of a political strategy,” he said. “The oil-dependent model has come to an end and it will not return, Venezuela needs to continue making great efforts to build a new economic model, diversified, productive, relevant, advanced”, affirmed the Bolivarian leader.